The moment I found out I was carrying a life within me I was awe struck and everything in my life shifted. It was the start of motherhood. Nine months later childbirth experience was full of energy, of chaos. An emergency c-section came unexpectedly after hours of pushing. Recovery from the surgery and the journey through breastfeeding dealt me the most pain I had ever endured. But it didn’t matter to me. I pushed through because the single most important thing in my life became my child. Being face to face and skin to skin with my little Sufyan for the first time gave me a jolt unlike any I had ever experienced. He was beautiful! He was perfect! Alhumdulillah, there could never be enough thanks given to God for Sufyan’s presence in my life. If that wasn’t electrifying enough, nurturing and raising a whole other person full-time certainly is. Being fortunate enough to stay at home full time with Sufyan has taught me a great deal about myself as a mom and a woman. Becoming a mom has given me an entirely unique perspective on my relationship with my mom, and a newfound appreciation for all the love she has given me since my own birth. The one thing I will always do my very best to instill in my little man is self-love. If he can love who he is and recognize that he can do anything, he will certainly be able to love others, live responsibly, care for this earth, and do something good every day to make the world a better place. Sufyan has a meaning in Persian; a walking thunderstorm. Since he creates the thunder, motherhood has to be the lightening . I hope to always show him the light in a rainstorm. 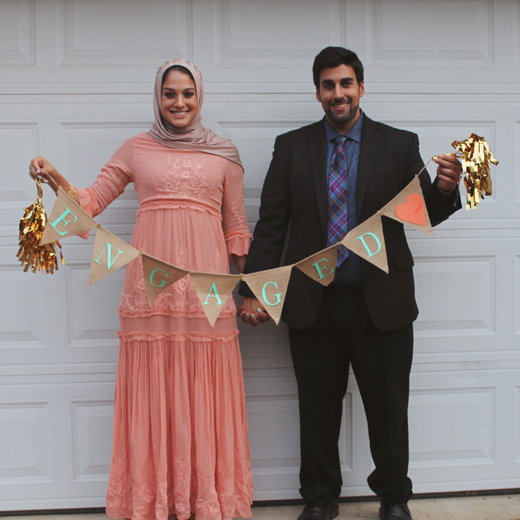 I guess you could say things got a little hectic after I gave birth to Sufyan… because clearly I haven’t gotten on the blog to post anything! Maybe it’s just that in the little free time I now have, I choose to relax or take care of the many chores around the apartment. I think I also got a little intimated at the idea of consistently blogging and actually having people view what I share. WELL…. I just got charged the annual fee for my blog hosting site and as a stay-at-home mom I felt the $99 better not go to waste… I better start writing. Ever since I moved to Texas last April (2016), I’ve felt a deep homesickness. I had a lot of changes in my life at that point – getting married, starting a new job, and moving to a completely new state. I’m going to talk more about my moving experiences and how I stay positive (when I do!) in future posts, but for now I just wanted to give two big tips on how I keep in touch with my family and friends in my home state, Virginia. This is not a sponsored post, these are just really great services that I personally recommend! CHAT | I use the chat feature daily to connect with my family. If you don’t have it already, I highly recommend downloading it and creating a family group. It’s worth it to spend an extra few minutes to teach older adults in the family how to become more whatsapp-savy. We text updates throughout the day, send photos to one another, and make plans for visits. My sister will send photos and videos of my niece and I feel like I’m close-by watching her grow up! CALLS (VIDEO/AUDIO) | The second feature I use is the audio call feature. I personally have an iPhone, but half of my family doesn’t! We can’t FaceTime, so instead, to improve call quality, we use the WhatsApp audio calls. On the weekends, we sometimes catch up with the video call feature. It’s way better than the direct mobile calls simply because the sound is so much crisper! This is especially true when you’re on wifi. POINT SYSTEM & CREDIT CARD | Knowing my home-base (and heart) is in Virginia, I knew I’d be traveling there often. Sticking to one airline makes the most sense to me because I can accrue points and travel using these points. At a previous job when I was traveling 85% of the time, I quickly earned A-List status which allowed me to board in the first set and also to skip the security line. Talk about a game-changer! With the credit card, I easily earn points through my purchases. They had an offer that got me 50K points in 3 months, and Nunu (hubby) and I used those to fly to SF for our Hawaii trip! Without that boost, we may not have been able to make the trip happen at such a good deal. CANCELLATIONS | I had a nightmare situation with a different airline one time – They wouldn’t refund my ticket cost when I had accidentally booked the wrong date. To make matters worse, it was a work booking. The entire situation put this fear in me of booking with other airlines. Southwest Airlines does not charge when you cancel or change a flight. Depending on the type of ticket you purchase, the funds will remain on your account for future purchases. This works for me because I’m obsessed with traveling and I know I’ll use the funds. BAGGAGE POLICY | Two free carry-ons and two free checked bags (at 50lbs max each)? Unbeatable.